Meritocracy and affirmative action? Author and disability researcher Dr Peter Gibilisco offers some key ideas for the next generation of disability activists. Opinion: Meritocracy and affirmative action? Author and disability researcher Dr Peter Gibilisco offers some key ideas for the next generation of disability activists. Advocates of a meritocratic approach to disability policy are still assuming that the base-line principle should be that people get out of the system what they put into it. That is why they seek to remove any barriers to people with disabilities “putting in”. It is a political vision – often articulated in terms of free market principles – that wants a future based on merit. Hence “meritocracy” (rule by those who gain merit) and is an alternative to aristocracy (the rule by those who inherit land), or more recently to a class-based “luck” of being born in the right place at the right time. But in 1998, Michael Young argued in an article titled Meritocracy Revisited, “meritocracy is even worse than aristocracy because it attempts to acquire plus points because it connotes power and privilege as merited rather than born with”. His book in 1958, titled The Rise of Meritocracy, was a satire (this means a system based on merit has unforeseen consequences that will eventually make mobility from one place in the social system to another even more restricted), and Young has a negative view of “meritocracy”. In recent years he has felt compelled to criticise “new Labor” because of its meritocratic commitment as advocated by the “third way” policies of the Tony Blair Labor government in the UK (1998 to 2007). Anthony Giddens, the renowned political academic and Blair supporter argues that any meritocratic form of equity is flawed, creating deep inequalities of outcome that threatens social cohesion. Likewise Roy Hattersley, British Labour Party MP, was of the view that meritocracy only offers shifting patterns of inequality, unfairly exalting the rich, while condemning the poor to false hopes of individualised social mobility. My argument is that public policy with respect to the involvement of people with disability in “mainstream society” must be as much about “affirmative action” as it is with “equal opportunity”. So what kind of affirmative action am I proposing? I am the beneficiary of a higher education system which has been required by law to make room for people with disabilities like myself. But it needs to be remembered that such requirements were put in place in a context where higher education was reoriented, making it compatible with job training for a post-industrial society. A university degree may look like evidence that people with disabilities have been given an “equal opportunity” to compete but when I think about my own life and experience I conclude that for “equal opportunity” to be a reality, “affirmative action” has to be taken to a new level. This will involve a totally new understanding of “mutual obligation”. What do I mean? We need universities that will recognise that their mutual obligation to contribute is institutional and is not simply a matter of granting space in courses to individuals. That obligation is not completed merely by granting degrees and then every year thereafter sending out brochures inviting such highly qualified alumni (including disabled alumni) to give generously to the university’s noble cause. Such brochures might feature people in wheelchairs dressed up for graduation but my point is that if that is all the university’s “mutual obligation” then it means that they are simply in the game of making disabled graduates into celebrities! In future, when severely disabled students get as far as I was lucky to get, I hope universities can give space to ensure such graduates can indeed “give back” as part of postdoctoral and ongoing research programs. What I am concerned about is the development of genuine policy for the severely disabled and, in particular, policies that will seek to meet needs that arise from progressive disability. For example, my disability Friedreich’s Ataxia, is a chronic disease that will severely worsen over time (it is a progressive disability). Where medical treatment is the promotion of the “old motto” that states, “if you do not use it you lose it”, such an ideology has the well-known and acclaimed view that to improve help and improve deteriorating co-ordination medical action is needed to strengthen muscles. Somehow, assistance for those with progressive conditions – as with an individual with Friedreich’s Ataxia – is needed if they are to gain some “elbow room” in life. This is simply to affirm the importance of ongoing medical research not just to keep people alive but to assist in the social and public contributions of people with progressive debilities. The market driven system routinely puts profits before people’s wellbeing and so when employers are faced with “equal opportunity” demands for employment they will characteristically assume that they will have to make room for lowered productivity, higher costs and greater hurdles to workplace efficiency (when employing severely disabled graduates). The point is that a small business may have an owner who is very sympathetic but who will go to the wall if margins are not properly managed. So then it is necessary to look again at what is assumed with “affirmative action” legislation. This political and policy approach requires positive steps to be taken to promote and maintain equal employment opportunity for socially defined population groups – in terms of gender, disability, age and race – whose participation rates are reduced or non-existent due to – what might be called – “structural factors”. Legislation stipulates that active steps be taken to promote equal opportunity. It is not just about compliance with the (anti-discrimination) legislation which seeks to eliminate unequal treatment of individuals. The goal of affirmative action is to eliminate disadvantages for which those having to endure discrimination in the workforce and at any workplace that cannot be held responsible. Affirmative action programs seek to appeal to an entire polity’s responsibility to counter the impacts of any “structural discrimination” upon socially defined groups. Thus “affirmative action” requires employers to take active steps to provide equal employment opportunities for groups subjected to discrimination in employment. In other words, Russell identifies the concept of equal opportunity, in terms of its anti-discrimination focus, with the competitive market system, creating a regulated need for “affirmative action”. A special thanks to Bruce Wearne, for his mastery of editing and helping to tweak my piece and to Christina Irugalbandara for her excellence in academic support work. About the author: Dr Peter Gibilisco is an honorary fellow at the University of Melbourne. He was diagnosed with the progressive neurological condition called Friedreich’s Ataxia at age 14. 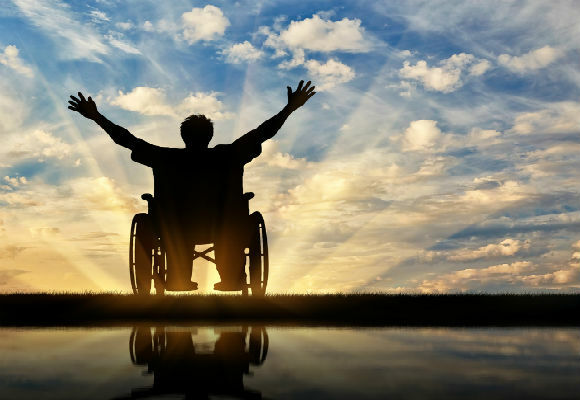 The disability has made his life painful and challenging. He rocks the boat substantially in the formation of needed attributes to succeed in life. 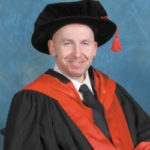 For example, he successfully completed a PhD at the University of Melbourne, this was achieved late into the progression of the disability. However, he still performs research with the university, as an honorary fellow. His new book is called The Politics of Disability.